1. What exactly IS the Framework? 2. How does the Framework benefit senior management? 3. What are the primary benefits of the Framework? 4. What technology was used to develop the Framework? 5. Who developed the Framework? 6. What background & skillset is needed to use the Framework? 7. Does every association utilize the entire Framework? 8. Does our staff at-large have to become experts on the Framework? 9. What if we don’t have time to use the Framework on our own? 10. Is the Framework designed for small or large associations? 11. Why do we need a Framework? 12. If we use the Framework, what is ISCG’s role in the project? 13. Why did ISCG develop the IT Guidance Framework? 14. Will it help us with implementation-only efforts? 15. Are there other frameworks available for associations? 16. Do the templates contain actionable content? 17. Will it help us set realistic expectations? 18. Does the Framework clash with the vendor's methodology? 19. Does the Framework replace the consultant? 20. Will the Framework help with an IT Assessment? 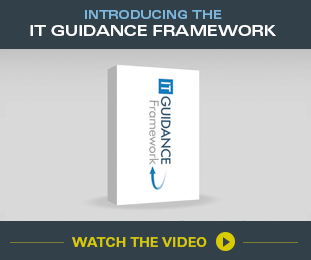 Watch this short video on the IT Guidance Framework, and then explore more detail throughout the website on how ISCG and the Framework can help make your AMS, LMS, or Website project a success.